The August Minnamurra Progress Association meeting will be the first opportunity for residents to find out more about the proposed $4.5 million 1.6km Minnamurra Boardwalk and Cycleway. 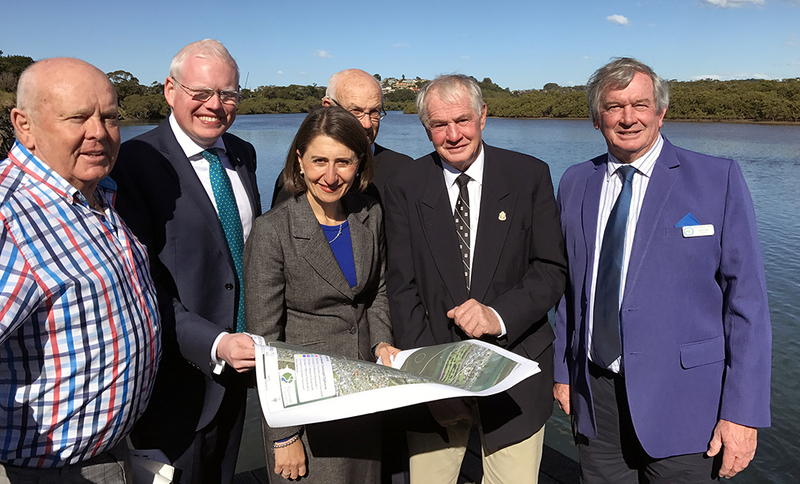 The Premier Gladys Berejiklian inspecting the concept plans with (from left) Councillor Warren Steel, Garth Ward MP, Minnamurra Progress Association’s Cliff Mason, Mayor Mark Honey and Councillor Mark Way. The project has long been championed by the Association, and received full funding in the 2017 State Budget. Concept plans outlining possible routes and structural diagrams will be explained by the Director of Engineering and Works, Gino Belsito, at the meeting as the beginning of the public consultation period. 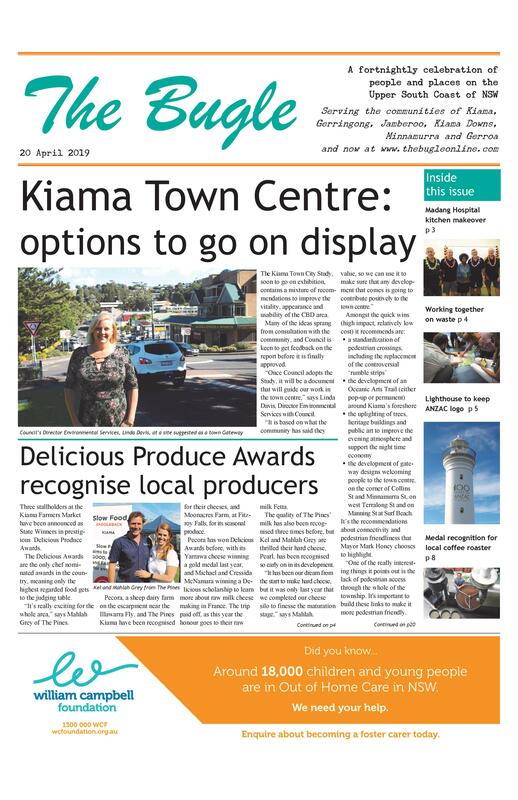 “In coming months we will be meeting with other key community groups such as bike and walking groups, tourism and business operators, environmental organisations and various government departments,” Mr Belsito says. The plans and results from the public consultations will be presented to Council before progressing to the next stage. 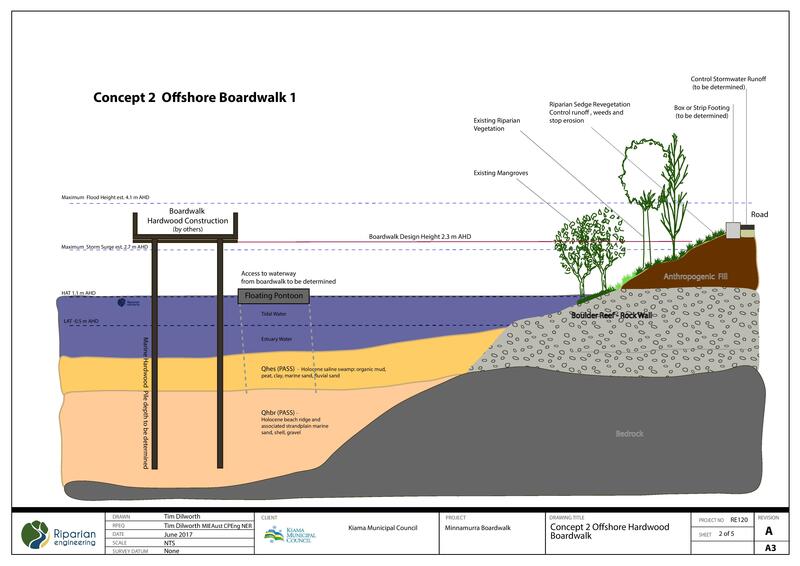 “If councillors are satisfied, we will then seek tenders for more detailed designs which would include assessing the environmental impact of constructing the Boardwalk and Cycleway. Before the project proceeds, a number of NSW Government departments including Office of Environment and Heritage, Dept of Fisheries, Roads and Maritime Service and Crown Lands will be involved in the approval process. Mayor Mark Honey said he was committed to ensuring the Minnamurra Boardwalk and Cycleway would be an asset to the whole community. “There is no doubt this Boardwalk will become a great attraction used by residents and tourists alike to enjoy the beauty of the Minnamurra River,” he says. Details: Tuesday 1 August, Progress Hall, Charles Ave (next to Minnamurra Public School), 7.30pm. All welcome. The plans are available for viewing on Council’s website or at their office.